Formlets allows users to integrate your forms to your website easily by using our "Share and Integration" option. We do not only allow one form, but if you wish to integrate multiple form to one webpage, our development team made it also possible to our users. When doing so, just paste the following code to your webpage, with the "CHANGEME" being changed to the individual form ID. 1. On your Wordpress Dashboard, go to Add New Page. 2. On the textbox, paste the code above, and change the word "CHANGEME" to the FORM ID of the form you want to attach. 3. 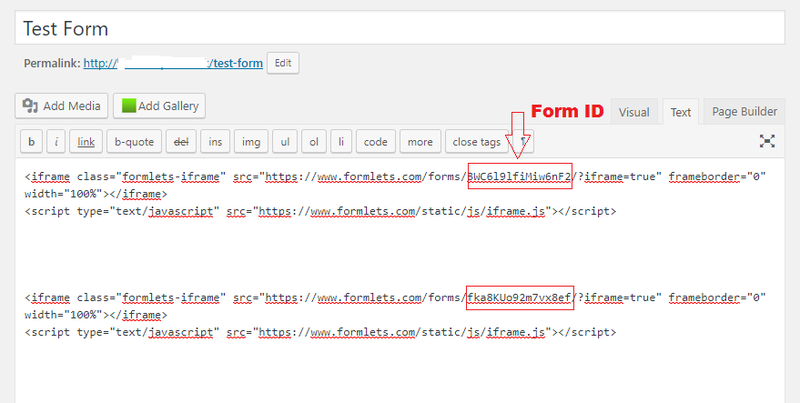 Copy and paste again the code on the next paragraph and put the FORM ID of the second form you want to attach. 4. 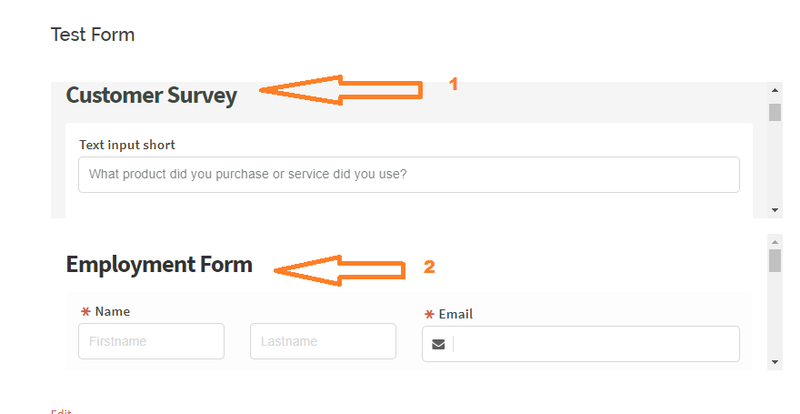 Click preview and check if the forms can now be seen in your webpage.